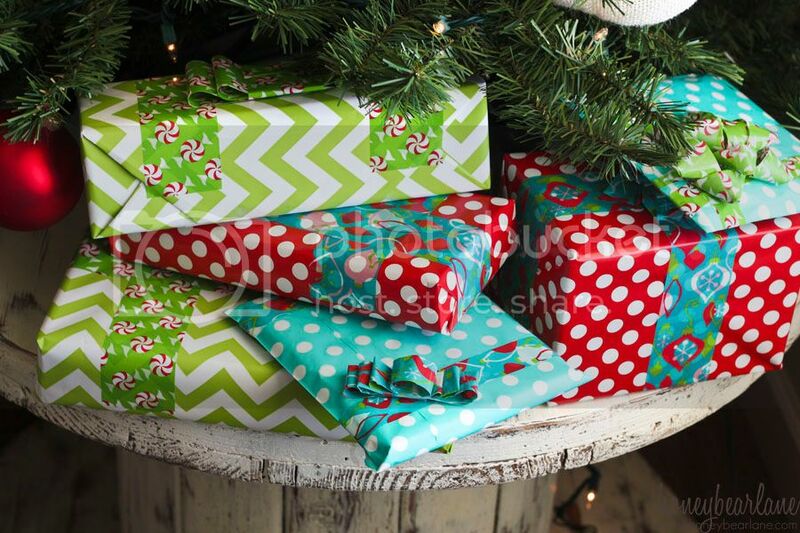 How you wrap presents kind of tells a lot about your personality. My brother always took pride in the extremity of his gift wrapping efforts–and not in a good way. One year he took a full DRAWER from a chest of drawers, complete with the junk still in it, put the gift in the drawer, and wrapped the entire thing. Another year he wrapped the gift in packing tape–going around and around the gift about a hundred times, so by the end it was one solid chunk of packing tape. This is just like his personality–not caring what other people think, just wanting to do something for a laugh. And the same goes for my husband, who is so incredibly meticulous about his gift wrapping. The first year we were together, he found some round box to put my gift in. Then he carefully traced a circle around the top and bottom, cut a fringe around the border of the circle so it could fold down the sides, and then he covered the tube part in more wrapping paper, with double stick tape do there was no trace of tape. 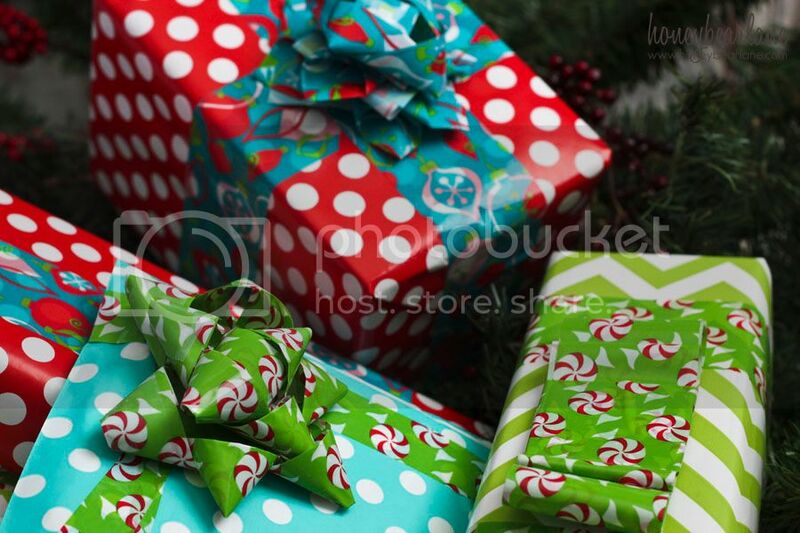 He selected his bows which were of the highest quality wrapped the ribbon around the gifts. Then he hand wrote a small tag to include next to the bow. And this is just like who he is–always paying such close attention to detail, and expecting perfection from himself. I’m a little of this, a little of that. Sometimes I try to get into it and make my gift wrapped really cute. And other times I just wanna get stuff wrapped (Christmas Eve.) But I confess, once I have got the gift covered up with paper, I just want to be done. I don’t want to go the extra mile to make a fancy tag or glitter monogram or whatever. I am known for writing the name straight on the paper. It’s just like me–if it’s something I enjoy doing, I will do a good job. If not, it’s utilitarian. And paper…it just ain’t my thing. Which is why I really enjoy using pretty tape. Ribbon is great and all, but tape is a one-step process. You grab the tape, pull it out, and stick it on. And as a bonus, it holds the paper closed, so in a lot of ways, it makes gift wrapping go even faster! 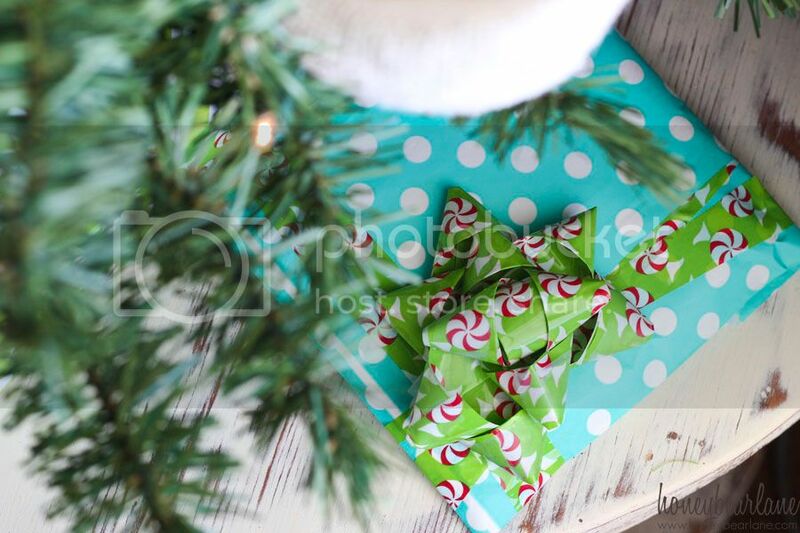 I was sent this festive EZ Start® Printed Packaging Tape by Duck Tape® and it was the perfect thing to go on the collection of gifts I was sending to my brother’s family. I chose red, green, and turquoise colors as a scheme, so the packaging tape fit in perfectly and in fact, tied the whole thing together. It’s so nice to wrap everything similarly when giving a bunch of gifts to one family so they can easily identify they are all together (and from you.) But that doesn’t mean you have to wrap them in the exact same paper…you can just keep them tied together with things like the EZ Start® Printed Packaging Tape, and other tapes if you want. It comes in all these different patterns and there are so many other things you can do with it. I got a tiny bit creative and fold it in half to create some fun bows for my gifts. (This is a screen shot from the Duck Tape® site.) It’s seriously easy to use and rips off super easy. And of course when you ship that pile o’ presents off, don’t forget to seal up your box with the Duck Tape® Printed Packaging Tape–which I think is so fun! They don’t have it just for the holidays. 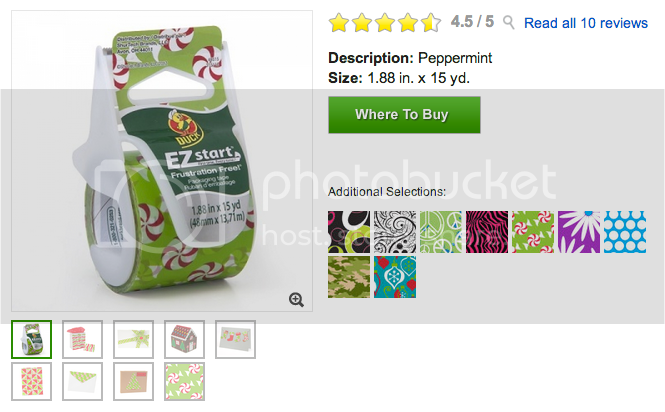 If you do a lot of shipping, you should get all their EZ Start Printed Packaging Tape! 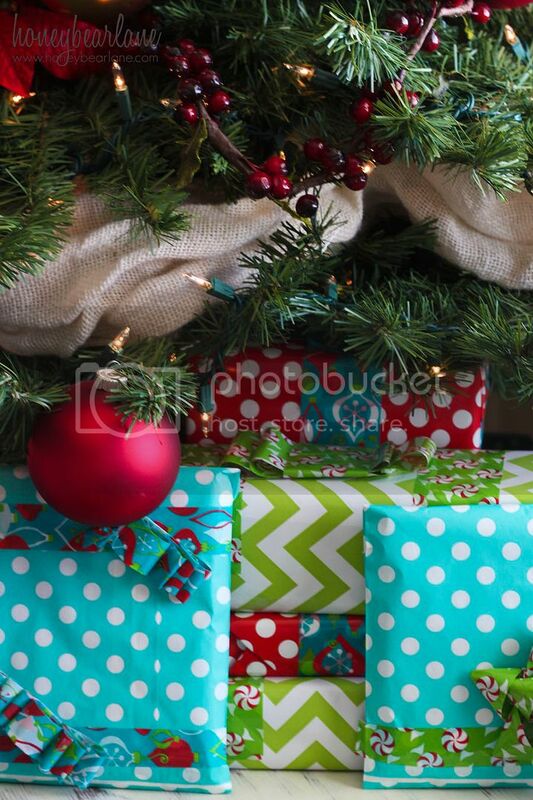 Merry Wrapping! Make sure to follow @theduckbrand on Twitter!